JBC-Agencies offers numerous adventurous tours within the various destinations. All our destinations; Cuba, Panama, Colombia, Costa Rica and Nicaragua have their own possibilities. 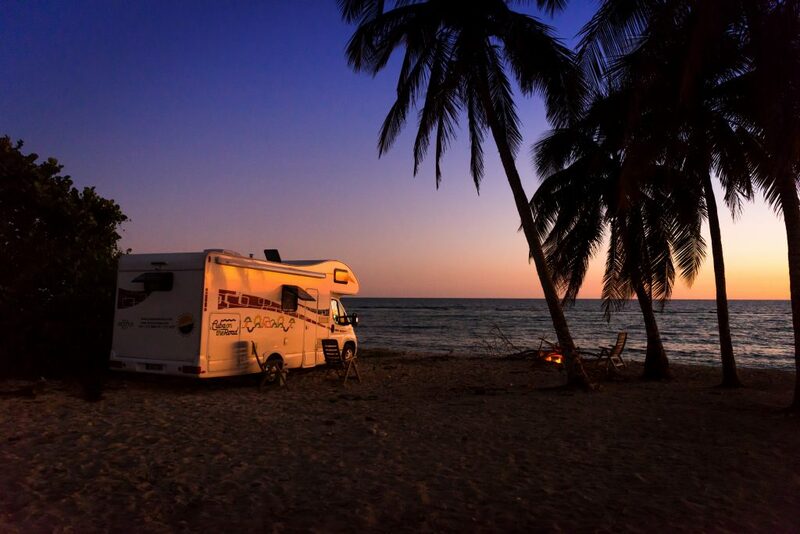 Take on a new adventure and discover Cuba with a camper. Exclusively available at JBC-Agencies. Enjoy the beautiful views, while driving past inspiring and authentic sights of Cuba. With the steady road it is a pleasurable ride on the mainland, an unique experience. Travel back in time and discover the landscapes and architecture of the sixties. Mix with the locals and taste the delights of the local Creole cuisine. The brand new campers are supplied with air-conditioning, electrical ports and portable and non-portable water supplies. Also present is a compact bathroom with shower and cosy kitchen. There are campers available for 4 and 6 people. An additional stay in Havana for 2 nights or more nights. A classic car tour and several excursions. A starters package of groceries including basic needs. Rental of Electric bikes, for the entire trip alongside the camper tour. A written guide with information about Cuba, must-sees and parking spots. Find out more about our Adventure products! The unknown pearl of Central America, it is the largest country with undiscovered paths. There are many highlights to be discovered..